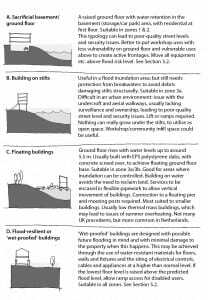 In England, as many as 5.2 million dwellings may be at risk of some kind of flooding; that is 1 in 6 dwellings (Vardoulakis, 2012). Other causes such as failing infrastructure or rising ground water. This winter (2013/14) – while not over yet – is already one of the most exceptionally wet in the past 248 years (METOFFICE/CEH, Feb 2014) while in the summer of 2007, more than three times as much rain as normal caused exceptional summer flooding of 55,000 properties and significant damage to infrastructure (Vardoulakis, 2012). Unlike the 2007 summer, during this winter the majority of flooded properties have been those located in floodplains, which exist to act as water storage; and properties in less-dense rural areas . And of course it also affects – directly and indirectly – public health: while infectious disease from flooding in the UK is limited, health risks from flooding include hypothermia, accidents and injury, significant stress and mental health impacts from the exposure to dirty, sewage and debris contaminated water and loss of property and having no access to clean water, electricity and heating (Vardoulakis, 2012). Water as shallow as 15cm deep can be threatening to those at risk, particularly the elderly or young, and in some cases even leads to disease and death, with morality rates highest in flash floods (Vardoulakis, 2012). Yet there has been a reduction in staffing and investment in The UK’s flood-risk management (CCC, 2014b) in addition to an increase in building on flood risk areas in England: 12,000 to 16,000 new houses every year in England are built in flood-risk zones, though they may have been built more resilient to flooding (Vardoulakis, 2012). Furthermore, this increased risk is acknowledged by the insurance industry and while risks are increasing, flood-defence cutbacks threaten to make home insurance unaffordable for many (ABI, 2009, ABI, 2010, Vardoulakis, 2012). For example, it is usually impossible to insure dwellings located in Flood risk zone 3. “[…] planning for those climate-related changes and, where possible, adapting to their likely effects, is critical.” (Vardoulakis, 2012) So how can we prepare? Historically we have been defending our urban areas from water, but will this still work? 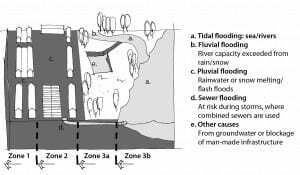 After all, defending one area and increasing and/or improving flood barriers and defences may simply move the problem elsewhere, such as lower down in the valley or along the river. We probably need to start thinking about our land differently: can we work with water rather than against it? How do we reduce people living in flood risk areas rather than increase this as more land may become at risk of flooding? And how do we protect people and property already present in flood-prone areas? ABI. 2009. Rising global temperatures will put the heat on insurance as flood costs rise [Online]. Available: https://http://www.abi.org.uk/News/News-releases/2009/11/Rising-global-temperatures-will-put-the-heat-on-insurance-as-flood-costs-rise–new-research-from-the-ABI [Accessed Feb 27th 2014]. [Online]. 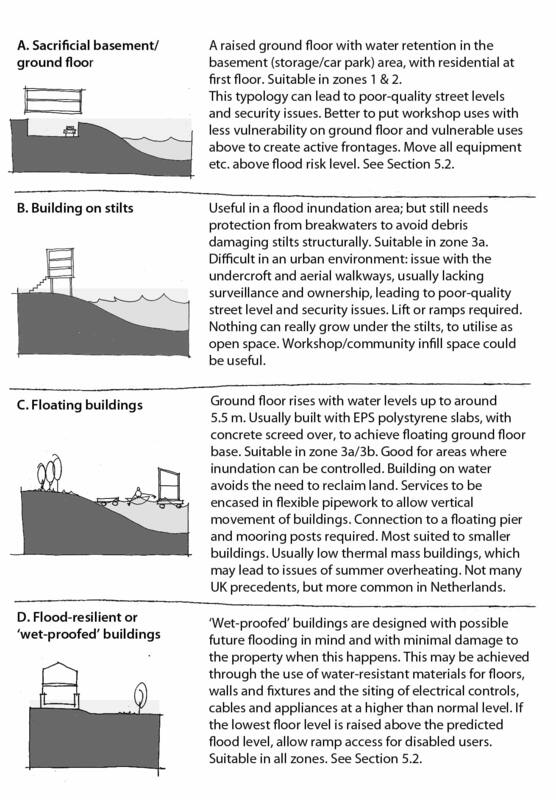 Available: https://http://www.abi.org.uk/~/media/Files/Documents/Publications/Public/Migrated/Flooding/Climate adaption guidance on insurance issues for new developments.ashx [Accessed Feb 27th 2014]. VARDOULAKIS, S., HEAVISIDE, C. 2012. Health Effects of Climate Change in the UK 2012 – Current evidence, recommendations and research gaps. In: HPA (ed.). Didcot: HPA. Creative article , I was fascinated by the information ! Does anyone know if my business can get a blank a form example to edit ? Hope Sofie is able to help.